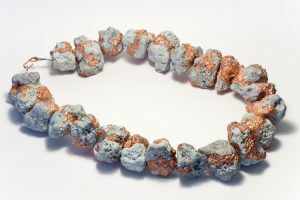 Despite the connection between jewelry and the body, significant critical analysis of the relationship between gender and adornment – particularly of contemporary art jewelry – is nascent at best. 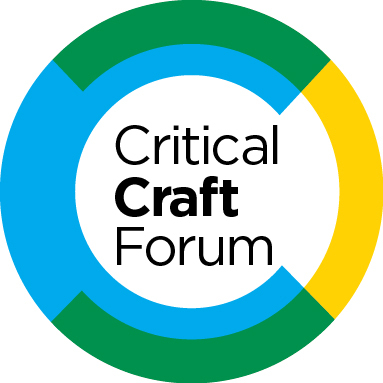 Critical Craft Forum is seeking papers that explore connections between this subject and forms of adornment, ornament, and art jewelry. Submit 250-300 words on one specific question or issue about gender and jewelry in your research or art practice. Selected panelists (six) will be invited to participate in online private and public discussions preceding the College Art Association (CAA) conference (February 15-18, 2017, New York, NY) via Art Jewelry Forum and Critical Craft Forum. At the CAA conference, panelists will each present a brief, focused eight-minute paper, to be followed by a workshop/discussion among panelists and attendees, to be led by Lignel and Wiggers. Session is scheduled for February 16, 2017. The goals: to identify and work collaboratively with researchers and artists exploring the relationship between gender and jewelry; to work collectively prior to the panel to build a core group with shared interests; to publicly share individual research investigations in the CAA session; and to use the broader collective group of attendees gathered for the session to further questions, thinking and concerns to expand critical frameworks for further study. Collective project work for this session with panelists and panel attendees will be acknowledged and explored in a forthcoming publication – the first to critically examine gender and art jewelry – currently being researched by Lignel and Wiggers. “New Rings: 500+ Designs from Around the World” by Nicolas Estrada. This marvelously illustrated survey showcases 591 contemporary rings, created by nearly 300 designers from around the world, divided into five sections—one for each finger. A list of many more books is in this week’s news post. 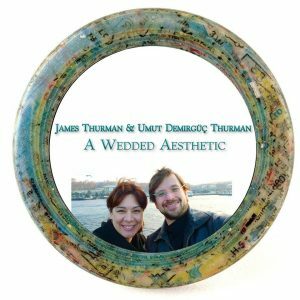 Don’t miss the 6-page feature article on Umut Demirgüç Thurman and James Thurman in the October issue of Ornament magazine. American Craft Week has announced their Rising Stars, naming 30 exceptional craft artists under the age of 30. Their list includes five SNAG members: Anna Johnson, Emily Shaffer, Alice Scott, Amber Harrison, and Cate Richards (at right). Richards was also SNAG’s 2016 Conference Planning Intern. Thomas Mann Gallery I/O in New Orleans received INSTORE Magazine’s first place award for America’s Coolest Small Jewelry Store. Mann makes, displays and sells his jewelry and metal sculpture, holds classes, and hosts exhibitions in the space. 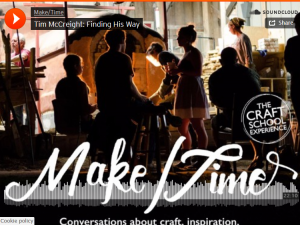 The Craft School Experience has posted podcast episodes with Tim McCreight and Tom Joyce. Stuart Kestenbaum talks to both artists about their careers and work. Kestenbaum will be the curator for Metalsmith magazine’s 2017 Exhibition in Print. 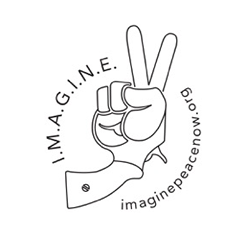 Boris Bally has been coordinating the I.M.A.G.I.N.E Peace Now exhibition, opening this November at Wellington B. Gray Gallery at East Carolina University, Greenville, NC and traveling to Boston’s Society of Arts & Crafts in early 2017. Included work will respond to, and initiate conversations regarding, the gun violence so prevalent in American culture today. Baltimore Jewelry Center has been named a Best of Baltimore winner for “Best Rebirth” by Baltimore Magazine. Job Description: The Conference Planning Intern will play an integral role in the planning, execution and evaluation of SNAG’s annual conference activities. As Conference Planning Intern, he/she will work with the teams responsible for putting together detailed plans to execute a full lineup of events. The candidate must be able to work independently. The CPI is hands-on and will require working as part of a team. You will need to complete a wide range of activities requiring clear, effective communication, critical thinking, excellent organizational skills and attention to detail. You must be able to work well under pressure, make decisions and ensure the smooth and efficient running of an event. Additional responsibilities will include, but are not limited to fundraising, communication with sponsors, vendors, and event staff, and other duties as assigned. This is a remote position and you will be required to work independently and meet deadlines as needed. Access to internet and use of your own computer is required. There will be weekly phone calls with the Conference Program Manager to update and check in. You will report to the both the Conference Program Manager and Executive Director. ● Plan, coordinate, and execute communication about the conference and other events through Constant Contact, Social Media, and other media outlets. ● All other duties approved by supervisor. Compensation: While this is not a paid position, the Conference Planning Intern will receive transportation to and from the conference, a comped conference waiver, and hotel accommodations paid for by SNAG. Interested applicants please email your resume and cover letter to Alaina Clarke.